3600501 22D-9S HYUNDAI 22D-9S Diesel Forklift D series. Spare parts catalog. Service Manual. 3600502 22D-9T HYUNDAI 22D-9T Diesel Forklift D series. Spare parts catalog. Service Manual. 3600503 25D-9S HYUNDAI 25D-9S Diesel Forklift D series. Spare parts catalog. Service Manual. 3600504 25D-9T HYUNDAI 25D-9T Diesel Forklift D series. Spare parts catalog. Service Manual. 3600505 30D-9S HYUNDAI 30D-9S Diesel Forklift D series. Spare parts catalog. Service Manual. 3600506 30D-9T HYUNDAI 30D-9T Diesel Forklift D series. Spare parts catalog. Service Manual. 3600507 33D-9S HYUNDAI 33D-9S Diesel Forklift D series. Spare parts catalog. Service Manual. 3600508 33D-9T HYUNDAI 33D-9T Diesel Forklift D series. Spare parts catalog. Service Manual. 3600509 35D-9S HYUNDAI 35D-9S Diesel Forklift D series. Spare parts catalog. Service Manual. 3600510 40D-9S HYUNDAI 40D-9S Diesel Forklift D series. Spare parts catalog. Service Manual. 3600511 45D-9S HYUNDAI 45D-9S Diesel Forklift D series. Spare parts catalog. Service Manual. 3600512 50D-9SA HYUNDAI 50D-9SA Diesel Forklift D series. Spare parts catalog. Service Manual. 3600513 15D-7E HYUNDAI 15D-7E Diesel Forklift D series. Spare parts catalog. Service Manual. 3600514 18D-7E HYUNDAI 18D-7E Diesel Forklift D series. Spare parts catalog. Service Manual. 3600515 20D-7 HYUNDAI 20D-7 Diesel Forklift D series. Spare parts catalog. Service Manual. 3600516 20D-7E HYUNDAI 20D-7E Diesel Forklift D series. Spare parts catalog. Service Manual. 3600517 25D-7 HYUNDAI 25D-7 Diesel Forklift D series. Spare parts catalog. Service Manual. 3600518 25D-7E HYUNDAI 25D-7E Diesel Forklift D series. Spare parts catalog. Service Manual. 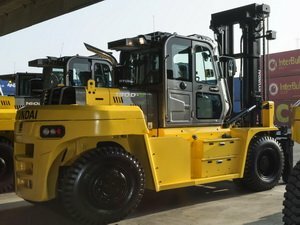 3600519 30D-7 HYUNDAI 30D-7 Diesel Forklift D series. Spare parts catalog. Service Manual. 3600520 30D-7E HYUNDAI 30D-7E Diesel Forklift D series. Spare parts catalog. Service Manual. 3600521 33D-7 HYUNDAI 33D-7 Diesel Forklift D series. Spare parts catalog. Service Manual. 3600522 33D-7E HYUNDAI 33D-7E Diesel Forklift D series. Spare parts catalog. Service Manual. 3600523 35D-7 HYUNDAI 35D-7 Diesel Forklift D series. Spare parts catalog. Service Manual. 3600524 35D-7E HYUNDAI 35D-7E Diesel Forklift D series. Spare parts catalog. Service Manual. 3600525 40D-7 HYUNDAI 40D-7 Diesel Forklift D series. Spare parts catalog. Service Manual. 3600526 40D-7E HYUNDAI 40D-7E Diesel Forklift D series. Spare parts catalog. Service Manual. 3600527 45D-7 HYUNDAI 45D-7 Diesel Forklift D series. Spare parts catalog. Service Manual. 3600528 45D-7E HYUNDAI 45D-7E Diesel Forklift D series. Spare parts catalog. Service Manual. 3600529 50D-7A HYUNDAI 50D-7A Diesel Forklift D series. Spare parts catalog. Service Manual. 3600530 50D-7AE HYUNDAI 50D-7AE Diesel Forklift D series. Spare parts catalog. Service Manual. 3600531 50D-7E HYUNDAI 50D-7E Diesel Forklift D series. Spare parts catalog. Service Manual. 3600532 60D-7A HYUNDAI 60D-7A Diesel Forklift D series. Spare parts catalog. Service Manual. 3600533 60D-7E HYUNDAI 60D-7E Diesel Forklift D series. Spare parts catalog. Service Manual. 3600534 70D-7A HYUNDAI 70D-7A Diesel Forklift D series. Spare parts catalog. Service Manual. 3600535 70D-7E HYUNDAI 70D-7E Diesel Forklift D series. Spare parts catalog. Service Manual. 3600536 80D-7 HYUNDAI 80D-7 Diesel Forklift D series. Spare parts catalog. Service Manual. 3600537 80D-7E HYUNDAI 80D-7E Diesel Forklift D series. Spare parts catalog. Service Manual. 3600538 100D-7 HYUNDAI 100D-7 Diesel Forklift D series. Spare parts catalog. Service Manual. 3600539 110D-7A HYUNDAI 110D-7A Diesel Forklift D series. Spare parts catalog. Service Manual. 3600540 110DF-7A HYUNDAI 110DF-7A Diesel Forklift D series. Spare parts catalog. Service Manual. 3600541 110D-7E HYUNDAI 110D-7E Diesel Forklift D series. Spare parts catalog. Service Manual. 3600542 120D-7 HYUNDAI 120D-7 Diesel Forklift D series. Spare parts catalog. Service Manual. 3600543 130D-7A HYUNDAI 130D-7A Diesel Forklift D series. Spare parts catalog. Service Manual. 3600544 130DF-7A HYUNDAI 130DF-7A Diesel Forklift D series. Spare parts catalog. Service Manual. 3600545 130D-7E HYUNDAI 130D-7E Diesel Forklift D series. Spare parts catalog. Service Manual. 3600546 135D-7 HYUNDAI 135D-7 Diesel Forklift D series. Spare parts catalog. Service Manual. 3600547 140D-7E HYUNDAI 140D-7E Diesel Forklift D series. Spare parts catalog. Service Manual. 3600548 160D-7 HYUNDAI 160D-7 Diesel Forklift D series. Spare parts catalog. Service Manual. 3600549 160D-7A HYUNDAI 160D-7A Diesel Forklift D series. Spare parts catalog. Service Manual. 3600550 160DF-7A HYUNDAI 160DF-7A Diesel Forklift D series. Spare parts catalog. Service Manual. 3600551 160D-7E HYUNDAI 160D-7E Diesel Forklift D series. Spare parts catalog. Service Manual. 3600552 180D-7E HYUNDAI 180D-7E Diesel Forklift D series. Spare parts catalog. Service Manual. 3600553 250D-7E HYUNDAI 250D-7E Diesel Forklift D series. Spare parts catalog. Service Manual.